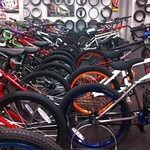 Eddie's Bicycle Shop is located in a convenient location In Uptown Manhattan. 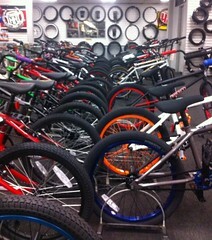 It consists of hundreds of bikes that vary from mountain to urban bikes that are custom fit for kids, young adults, and older individuals as well. The store is opened 7 days a week and has hours that are very flexible in order for the customer to be satisfied.